I remember hearing about corn crops in history class, but as it turns out, popcorn was used before all other types of corn. Evidence of popcorn use as far back as AD 300 has been found in Central and South America, and Native Americans in North America used popcorn for everything from headdresses to food. 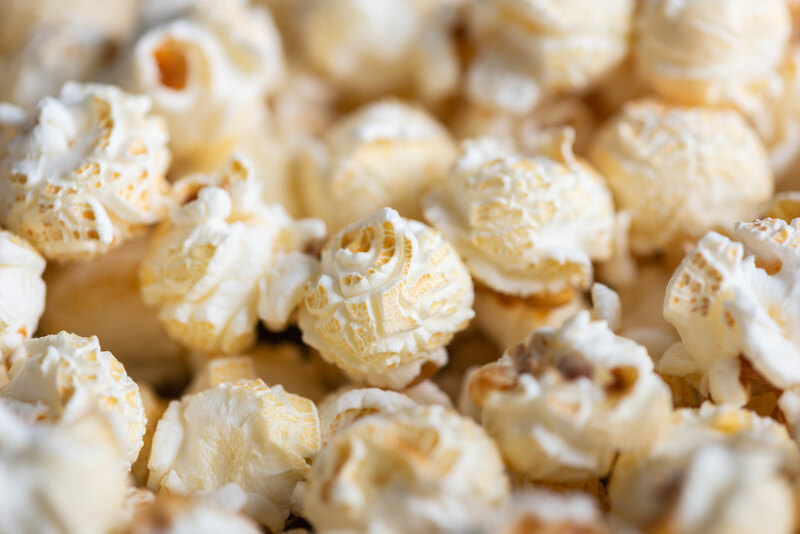 Colonists also fell in love with popcorn, using it early on as a breakfast cereal and then later adopting it as a snack (“The History of Popcorn,” “Early Popcorn History”). Now we have a variety of types of popcorn as well as various ways we can pop it. So, thank you, ancestors, for recognizing popcorn’s potential! As a kid, I often wondered why fields of corn didn’t suddenly turn into popcorn on really hot days. (Ah, the dream!) Now I know that there are crucial differences between regular corn kernels and popcorn kernels. 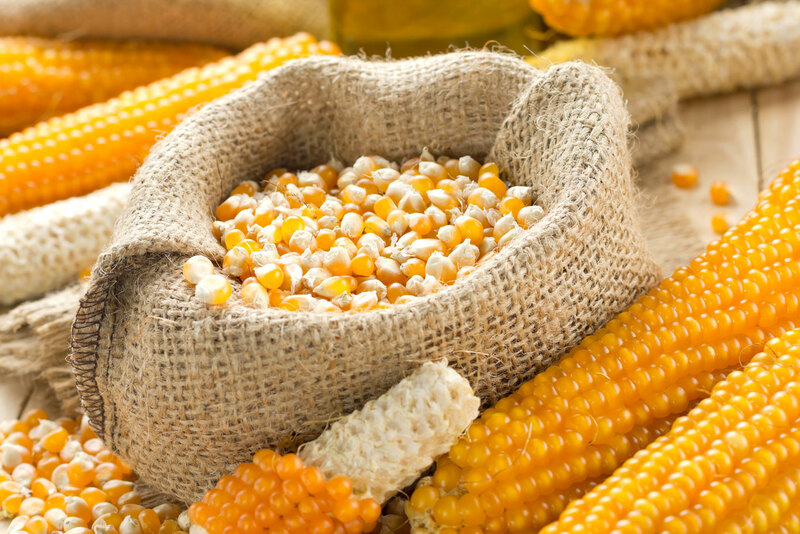 Kernels contain an outer shell known as the pericarp. Inside the shell is the endosperm, containing water and starch, and the germ (“The Science of Popcorn”). The pericarp on a popcorn kernel is four times stronger than the shell on regular corn, which means it holds in the insides of the kernel at a higher pressure. Additionally, popcorn starch is puffier than the starch in regular corn kernels (”The Physics of . . . Popcorn”). When popcorn ears are harvested, they contain 16 to 20 percent moisture. The kernels are dried by forced air until their moisture level is at 14 percent, the ideal moisture level for perfectly popped corn. Too much or too little moisture, and you get unpopped kernels. And that’s just no fun at all (“The Science of Popcorn”). So, what makes a popcorn kernel explode, giving us that delicious, fluffy snack? Remember that starch and water in the endosperm? Well, when we heat up a popcorn kernel, that water turns into steam, building up pressure. Because the pericarp is so strong, the pressure remains inside the kernel, allowing the steam to turn the starch into a gelatinous material that, once the kernel finally pops, puffs out, creating that lovely popcorn shape (“What Makes Popcorn Pop?”). 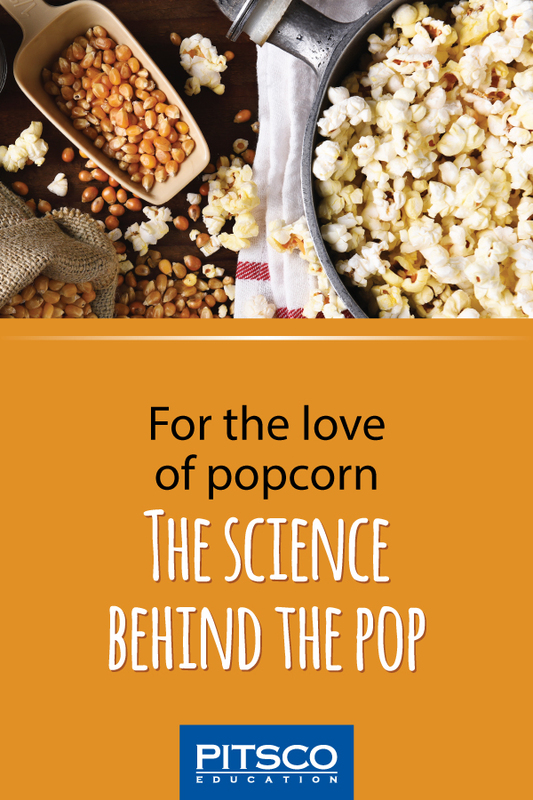 If you want to see some cool slow-motion videos of kernels popping, check out “Popcorn Under A Microscope” and “What Makes Popcorn Pop?” And if you’re looking for a reason to pop up some popcorn in your classroom, “The Science of Popcorn” has some great ways to connect science to what happens inside those tiny kernels. There are various ways to get popcorn hot enough to pop. Commercial, mobile popcorn machines have been around since 1885, but you can also use a campfire, a grill, a stove top, or a microwave to pop your corn. Like I said before, I’m pretty much a fan of all of them. However, growing up, I only knew of one way to make popcorn, and that was using an Atom Popper. This thing looks like a wok, but it makes the best popcorn I’ve ever had – without shaking or stirring! I couldn’t find any science on why the shape might help, but my guess is that maybe the funnel keeps the heavier, unpopped kernels at the bottom and the lighter, popped kernels at the top, preventing popped kernels from burning and ending up with fewer unpopped kernels in the end. But you don’t have to have an Atom Popper to make stove-top popcorn. You can use a saucepan, a cast-iron skillet, or a Whirley Pop. And of course, Jiffy Pop still exists. If you don’t have access to a stove, there’s always campfire popcorn and popcorn on the grill. If you’d rather not be near an open flame or standing over a hot stove, I totally understand. But that doesn’t mean you have to give up popcorn, for goodness sake! You can use an air popper, an electric popcorn maker, or, of course, the microwave and still get that delicious, crispy-yet-fluffy snack. There are probably as many types of popcorn as there are ways to pop it. All popcorn falls into one of two main categories: white or yellow. And each of these categories has varieties based on size. White popcorn, for example, can come in lady finger, baby white, sweet baby blue, tender and white, and more. Yellow popcorn varieties include baby yellow, big and yellow, and extra large caramel. Both yellow and white varieties of popcorn can come in a hulless option. Hulless popcorn isn’t really hulless, though. It just has a hull that breaks down more easily, meaning less of it getting stuck in your teeth. Most smaller popcorn varieties are described as hulless. Popcorn also comes in different shapes. Butterfly-shaped popcorn has “wings,” while mushroom-shaped popcorn is bigger, fluffier, and better able to handle gooey toppings and coatings. To Top it Off . . .
Finding the right popcorn and the best way to pop it is only the beginning. Any popcorn connoisseur will tell you that you can’t have a great batch of popcorn without the perfect topping. However, just what the perfect topping is remains subjective. I typically go for the traditional melted or spray-on butter and some salt, but I also love (though haven’t figured out how to make) cheese popcorn. Some people use pepper on their popcorn, which I find intriguing, but not enough to try . . . yet. 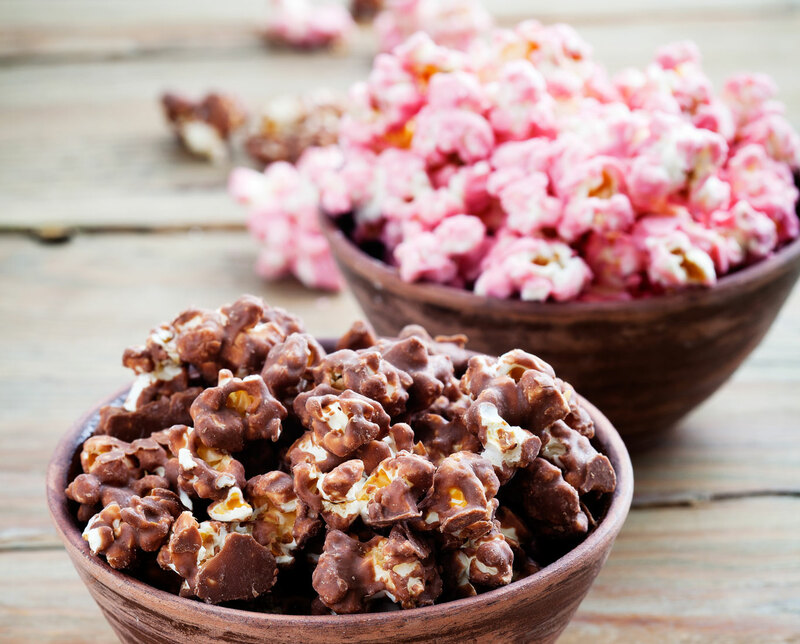 Others like to coat their popcorn with cinnamon or create exciting flavors such as buffalo ranch, bacon, or salted caramel. If you’re not feeling particularly ambitious, there are plenty of toppings in the grocery store you can try. Find one you like and get to popping!